When I was a child I knew that Yangtze River is one of our mother rivers which nurtures rich life and culture. 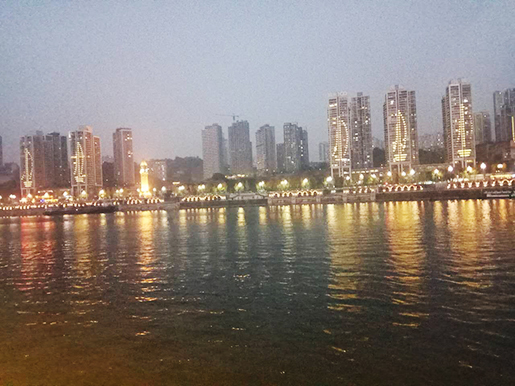 And when I attended junior high school, I knew that Yangtze River is more than beautiful from all the famous poems and articles. As a Chinese, I’ve learned a lot about Yangtze River. But all the knowledge is limited to books and legends; I never have a chance to visit it personally. Now thanks to my company, my dream finally came true. 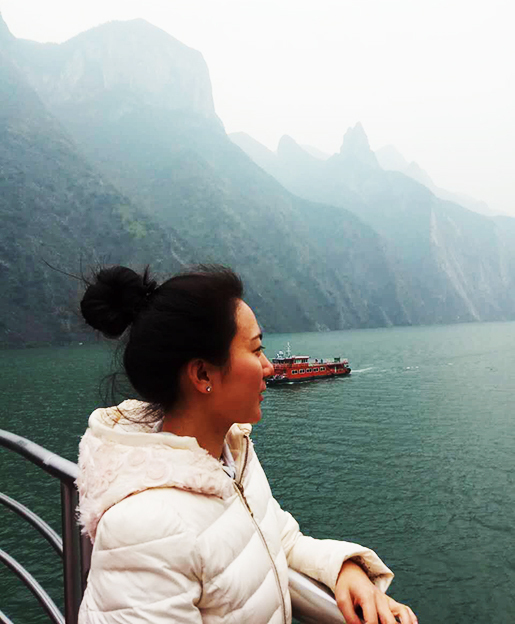 I took a 4 days’ Yangtze River Cruise to Chongqing and Yangtze River on Dec 8, 2016. Taking a bullet train from Chengdu, I arrived in Chongqing at 11:30. Upon arrival, I met my colleague in Chongqing who was waiting at the exit of the railway station. Together with a driver, we went to have lunch. 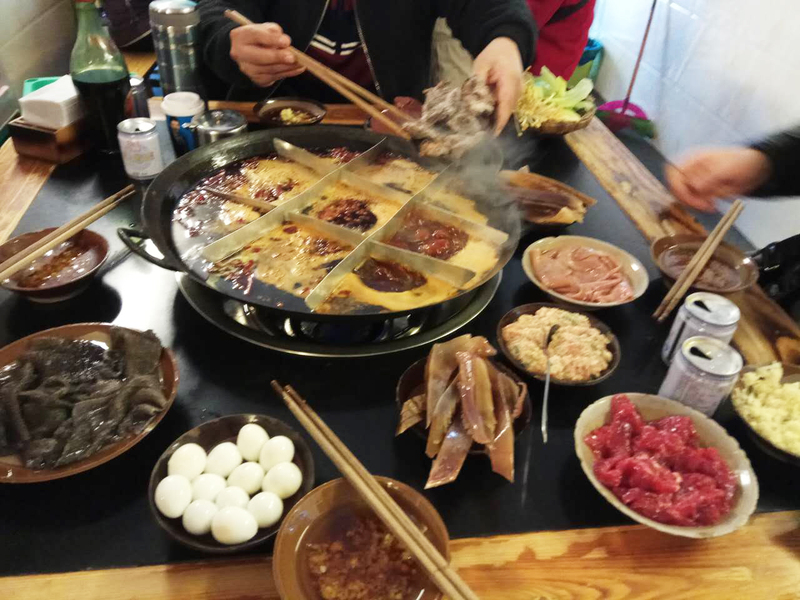 As a local, the driver recommended us a restaurant with authentic Chongqing hot pot. The hot pot tasted good and cost was not high, but don’t try it if you cannot eat spicy food! After lunch, at about 13:00, we went to Chongqing Joseph Stillwell Museum. 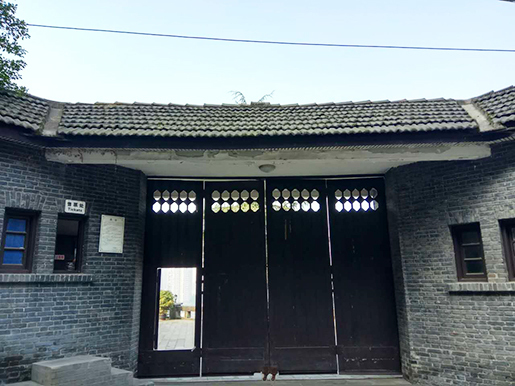 The museum occupies an area of 1.2 acres (about 4,800 square meters). 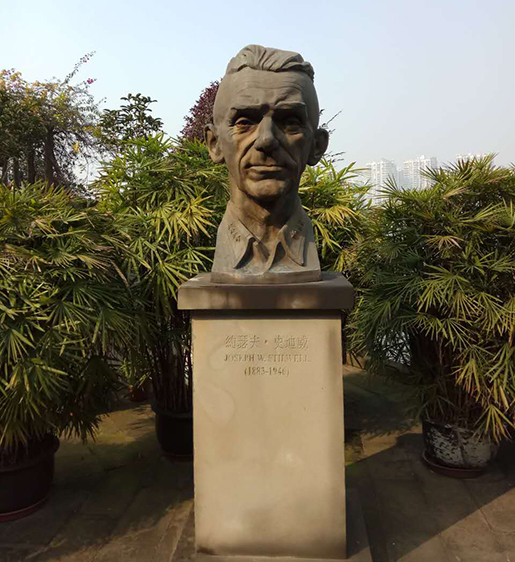 It was founded in memory of Joseph W. Stilwell (1883 – 1946), an American general who contributed a great deal to Chinese people during World War II. Since the museum is pretty small, the visit only took about 20-30 minutes. Afterwards, we headed to the Three Gorges Museum which is just a few minutes’ driving from the Joseph Stillwell Museum. 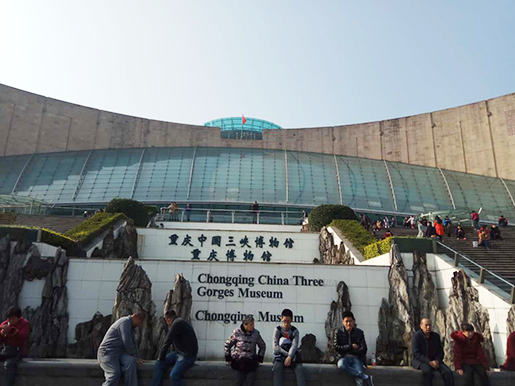 Three Gorges Museum occupies a whole area of 50,828 square yards (about 42,497 square meters), one of the largest museum of the country. There are 4 main displays among which Glorious Three Gorges interested me the most. 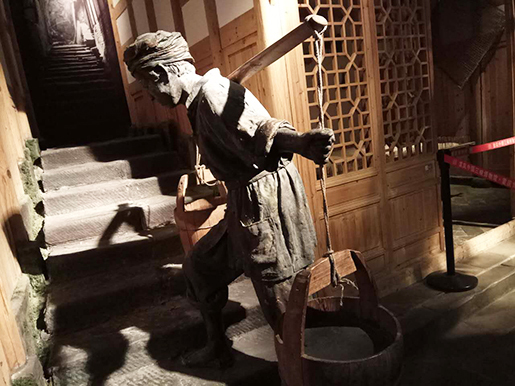 I think the museum is a great place for you to visit before or after taking the Yangtze River cruise. 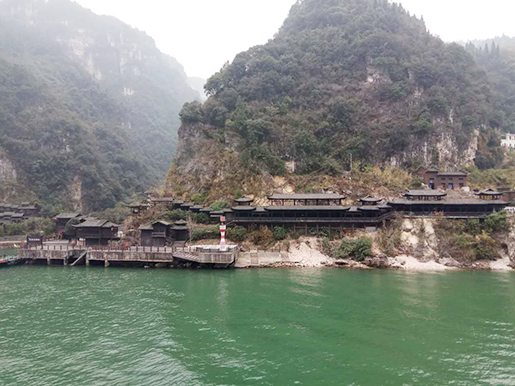 You will learn a lot about the history of Three Gorges which is of great help for you to understand nowadays’ Yangtze River appearance and its people. And the museum provides such a rich display that you will never feel boring. There are four floors; we only saw three of them due to time limitation. You can spend 3-4 hours to explore them all. About 2 hours later, we had to go to next sites-to investigate hotels we cooperate. After the investigation, we made our way to the Chaotianmen Port to board the ship Victoria Jenna. I need to remind you that because there are buildings under construction along the port and the road is blocked, so cars are not allowed to drive into the port actually. You have to walk a short distance to the ship on your own. And one more thing you’d better to know in advance is that all the sub-pier names are in Chinese. So before boarding, you are suggested to ask your travel consultant to type you the sub-pier name in Chinese. It was about 18:00 when I checked in and there were not many people. 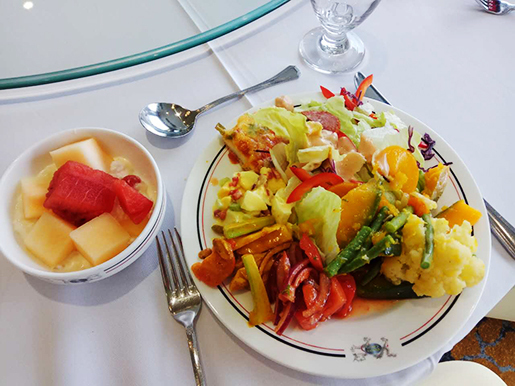 Since no free dinner will be provided for the first night, so you had better have dinner at a restaurant or buy some solid food before boarding. There are many restaurants and shops along the bank. The ship would not leave until about 21:00 so I left my luggage in my room and disembarked the ship to take a walk along the bank. With many colorful lights on, the night view was quite nice. At around 20:30, in the Yangtze Pub on the 5th floor, there was a meeting to explain the schedules, and safety notes. At about 21:30 the ship started to move. It moves at a very slow speed, so don’t worry about seasickness. 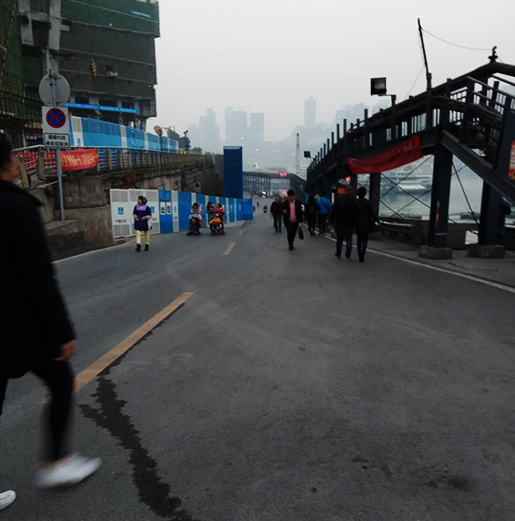 The original plan was to visit Shibaozhai Pagoda this afternoon, but after breakfast, we were informed that due to heavy fog, the ship had to stop for a couple of hours; as a result, we couldn’t reach Shibaozhai until the evening. 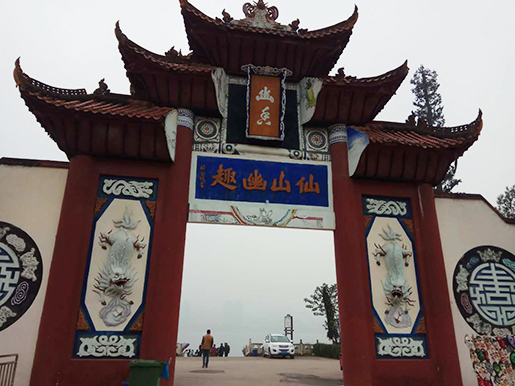 Since Shibaozhai was unable to be visited, it was replaced by the optional excursion: Fengdu Ghost City. The Ghost City is located on a hillside, 288 meters high and there are many steps so you are suggested to wear comfortable shoes. Known as the capital of the Underworld, Fengdu Ghost City endows many mysterious and interesting stories about the hell. Entering the ghost city, you will find many devil statues and vivid cruel scenes in the nether world. In the evening, there was a welcome party where you could enjoy shows performed by the cruise staff, free beer, snacks and deserts. 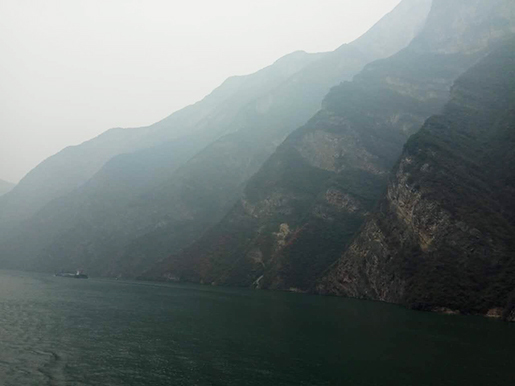 Today, the ship sailed through Qutang Gorge in the morning and Wu Gorge the afternoon. Scenery along the two Gorges were gorgeous. Continuous high mountains with red leaves dotted on and green water flowed below, it was such beautiful that you would have the illusion that you just entered into a landscape painting. No wonder there were so many poems, articles and paintings passed down through the history. The foggy weather even added more mysterious mood to the picturesque scene. In this evening, a special table dinner was provided. And after the dinner, there was a farewell party on the 5th deck. 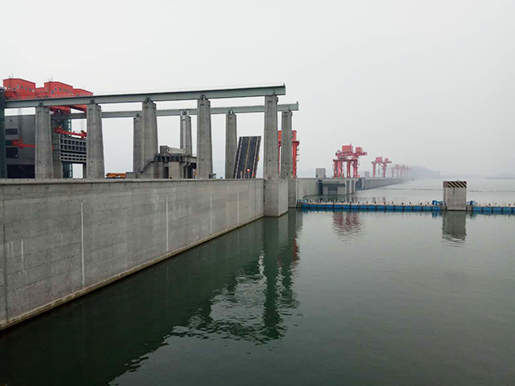 At about 23:00, you can watch the process of passing through Three Gorges Dam Five-stage Ship Locks. This was the last day on the ship. At about 08:00 am, we visited the Three Gorges Dam Site, the world’s largest hydropower project. 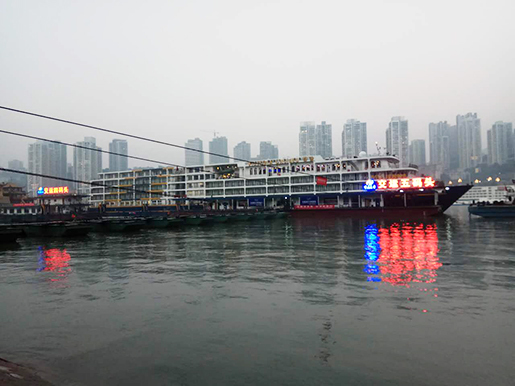 After the excursion, we got back to the ship and continue our cruise to Yichang. 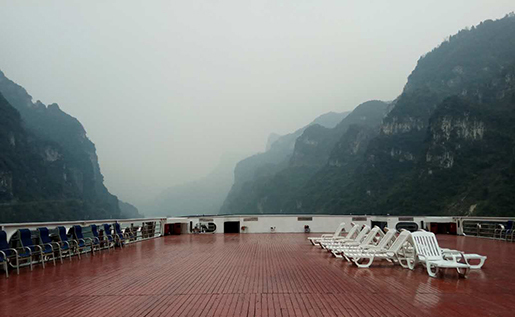 At around 11:30 am, the ship sailed through the last gorge, Xiling Gorge. 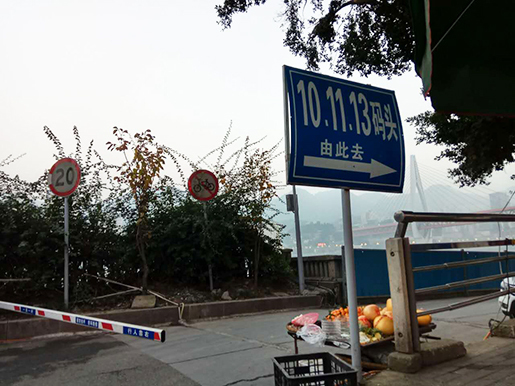 The ship arrived at Yichang New Century Port at around 13:00. Upon arrival, I took a bus to the East Train Station to catch my train back to Chengdu. There were few taxis or buses to the airport or train station available outside the port, especially in winter; you’d better book the transfer service with your travel consultant. 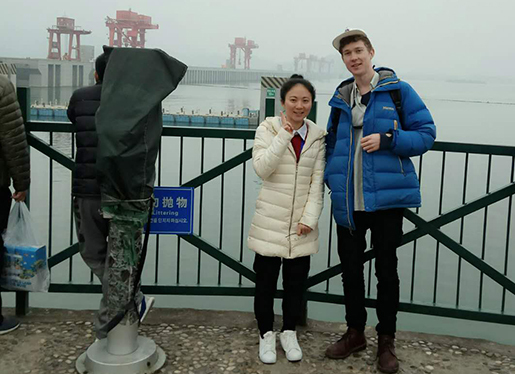 Spending 4 days and 3 nights on the ship, I had not only got a deeper understanding towards the Yangtze River, but also had learned more details about the Yangtze River ships so as to serve my future customers in a better way. Want to know more about the experienced travel expert Stephanie’s trip? You could just contact her directly or continue to read her travelogue. 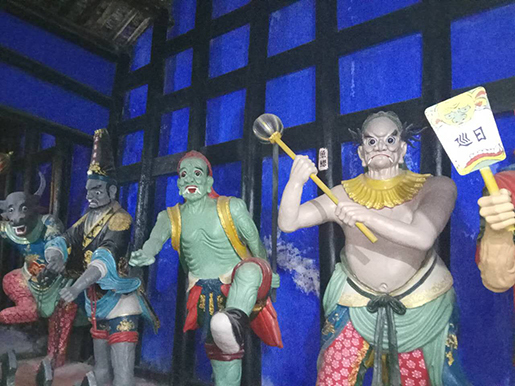 This entry was posted in travel experience, travel guide, yangtze river cruises and tagged Victoria Cruises, Yangtze River Cruise, Yangtze River Cruises by Travel Expert. Bookmark the permalink.